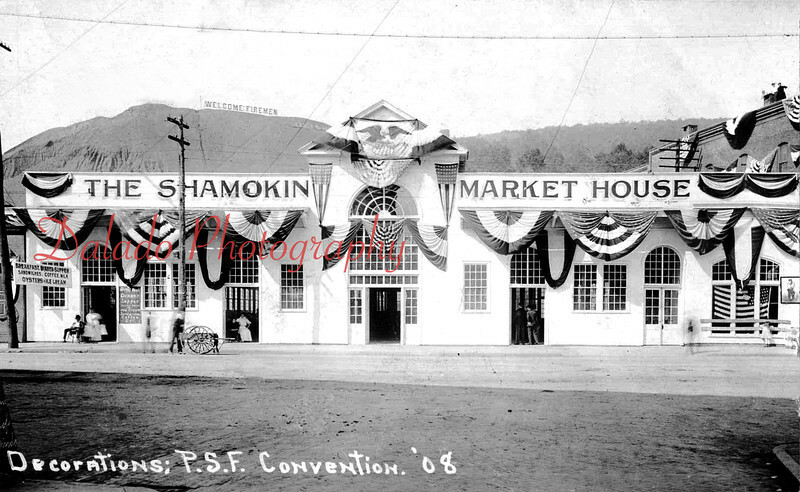 (1908) The Shamokin Market House- Decorated for the P.S.F. Convention. On the Glen Burn Bank there is a large sign that reads, "Welcome Firemen." The sign at left reads, "Breakfast, Dinner, Supper, Sandwiches, Coffee, Milk, Oysters + Ice Cream."